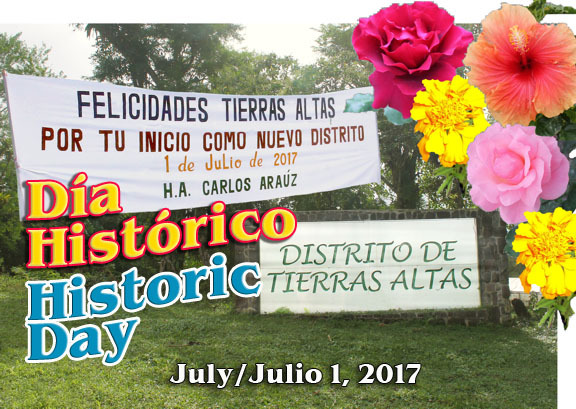 It all started with Volcan's highly successful "Parade of Flowers" Festivals. 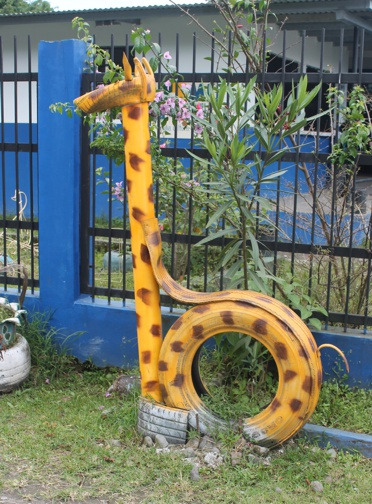 The locals wanted to do their bit and used recycled tires in a highly artistic fashion. Now, the flowers with fade and die- but the tires will blossom forever. Finally, the great little mountain resort town of Volcan gets to directly manage its own affairs. Hopefully,with its own Mayor there should be more funding for road repairs etc. New, Spanish-style coffee and Tapas bar opens. 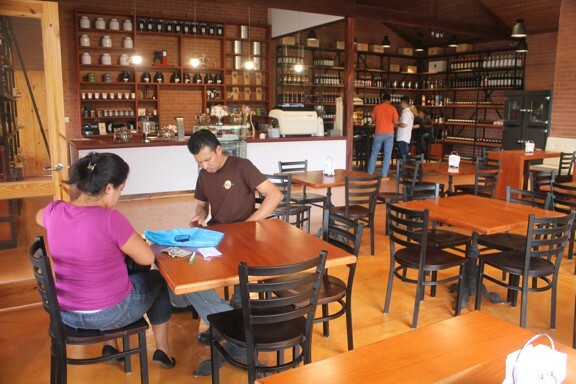 Volcan now has a high class European style coffee house and Tapas bar. It has a wide selection of wines and spirits and serves European style bread and dessert items. It may be small, but already it preserves for future generations much of Volcan's past. Some artifacts possibly date back thousands of years. Some highlight modern technical obsolescence. A fascinating look at ancient and modern history. 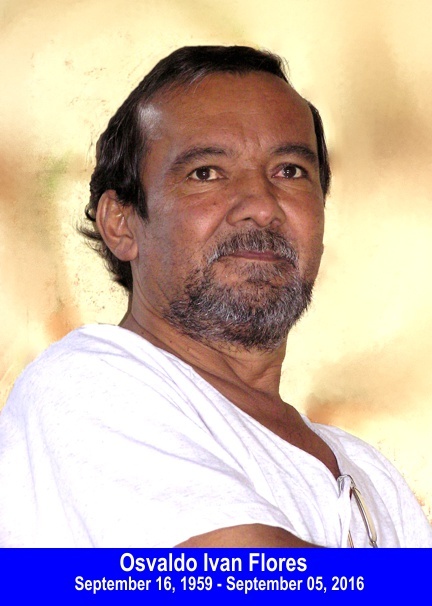 Sadly, In September we lost our founding editor IVAN FLORES. Ivan did more than anyone to investigate and preserve the history of this town through all its troubled and turbulent past. A great man who will never be forgotten. This second successful Flower Festival Parade firmly puts Volcan on Panama's Tourist "Must-See" list. It seems that every one in the town from businesses to ordinary people went out of their way to beautify this small mountain town. OVIDO PORTUGAL runs a very successful graphic printing and logo embroidery shop in Volcan. His talents and artistic abilities however, extend much further. Recently he unveiled his own brands of unique home brewed beer. Volcan is fast becoming a center for artists. Each year we have a local arts festival that features local arts and crafts. 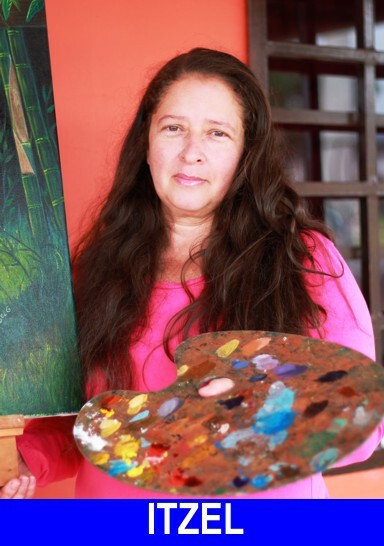 ITZEL, is a new Panamanian artist that is producing highly detailed and very stunning productions. Elred Wetli was a soldier in the US army's WW2 campaign in the Pacific. He saw the horrors of war and felt genuine pity for the thousands of poor orphans he saw not only on the Islands of the Pacific but eventually in Japan itself. This obviously made a deep impression on him and formed the vision that lasted until his death. After the war he became a Benedictine monk and in 1963 came to Volcan. He spent the rest of his life teaching the children of this town the English language. As part of the new city centre it is proposed to erect a statue to this good and humble man. Work is soon to begin on the new $15 million dollar city center for Volcan. This project will transform this small sleepy little market town into a major tourist destination. The recent phenomenal success of the first ever Volcan Flower Parade festival, shows that the tourist potential for this Eternal spring, Shangri-La in the mountains has finally been recognized. With the opening of Volcan's newest entertainment location, the town now has a pseudo community center. Almost once a week on either a Saturday or Sunday there is live music (country, pop and Karaoke) also a recent feature has been the introduction of Poets' Corner. Now Volcanite's can claim that yoghurt isn't our only source of culture. Volcan is set to host its first major summer flower festival. 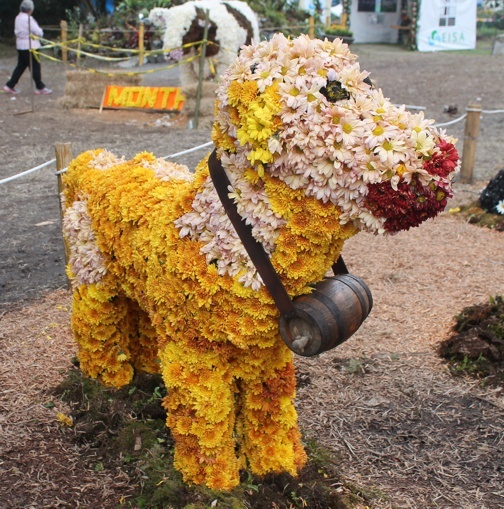 This could put Volcan on par with our sister town of Boquete and its very popular spring flower festival. The festival will feature music and parades, the big question is will Mother nature cooperate and allow Volcanites to have a blooming sunny festival. With the opening of Volcan's new hospital, healthcare, particularly emergency healthcare, has taken a positive leap forward. ESR's (English Speaking Residents) are welcome and can obtain medical coverage at extremely affordable rates. 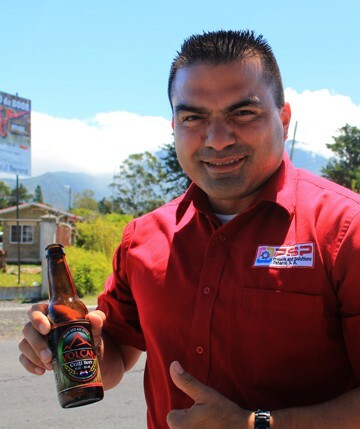 Call Rodny (Volcan's emergency hotline) An incredible story of a young man with severe disabilities, who overcame those disabilities and now provides a vital service to many people in Panama. ALSO, Cardboard Cut-out Cops and new plans for Volcan city center unveiled. Cotito Massacre Remembered. The story of the unveiling of a memorial plaque to the Swiss/German settlers who were massacred in 1941. How and why the massacre took place and the story of the brave prosecutor who wouldn't give up in his quest for justice. Celebrating ten years of uncovering history and mystery with YourPanama.com. Highlights of some of our more popular stories including Volcan's "Last Tiger"
UFO's or UML's. Volcan's long history of seeing mysterious lights in the sky. Panama through European eyes. In 1998, 2 days after the Americans liberated Panama, General Noriega sent a 40 foot container of weapons to his troops in Rio Sereno, Chiriqui. The heavily overloaded container only made it to the town of Volcan. What happened after it arrived? Read the story. An amazing story that filled the headlines around the world. A multi-million dollar find of Spanish gold in Panama. Volcan's little park outside of ROMERO gets a clean up. William Dathan Holbert confessed to multiple murders. Chiriqui Libre reporters helped in gathering evidence against Holbert and even went in search of his hideout. In this issue four articles. Orange Blossom Highway. Chiriquí's little known scenic highway. Wonder Beneath Our Feet. A journey down the spectacular Macho De Monte Gorge. Best Little Bookstore in Panama. Volcan; best little town in Panama. Volcan's spaying and neutering clinic. Would you like to build a railway? Chiriqui Libre, March 15th 2009. Hooked On Panama fishing resort. Best Family Restaurant in Panama. The Circle of Life August 2008. A story of the death of a furry friend and the birth of 110 Olive Ridley Turtles. A Monkey in My Arms. January 2010. The story of the Alouatta Monkey sanctuary in Panama. 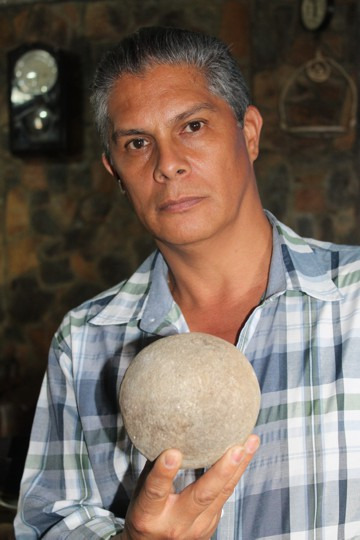 Totumas-panamas-lost-art (the amazing & durable calabash.